This house was located in a densely treed area in Jackson Wyoming. The owners got tired of the constant shade the native plants provided. This house was located in a densely treed area in Jackson Wyoming. The owners got tired of the constant shade the native plants provided. The steep slope of the uneven forest floor made it difficult to navigate the property. Trail Creek Nursery removed multiple trees along with underbrush to allow light into the home and property. Using boulders as terraces, and bringing in soil, the uneven steep slope was fixed. 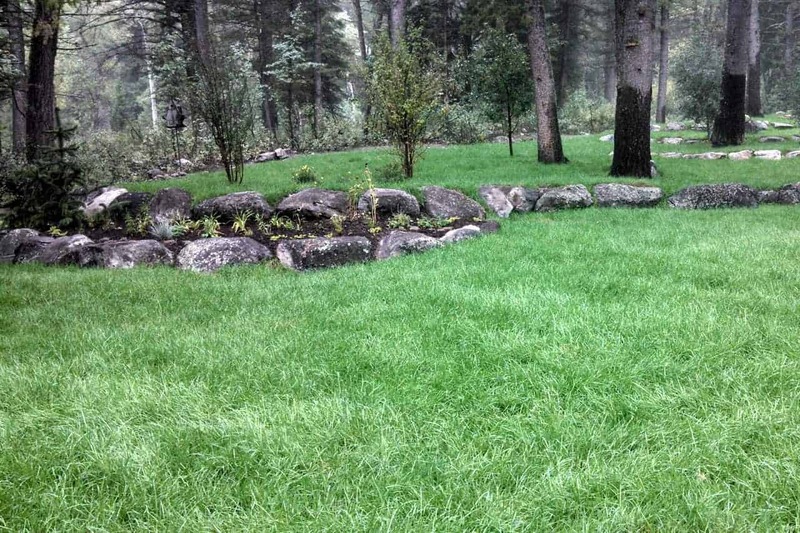 Using a native grass sod to complete the project, allowed the owners to be able to walk and enjoy their property.